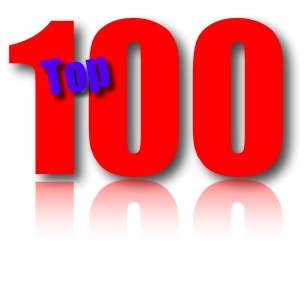 Felicia Gopaul is the host of Career 100 Podcast and, as you may have guessed, is in the process of interviewing someone from each of these top-rated professions. Ms. Gopaul’s questions were pretty much what you’d expect in an interview such as this: how I became a chiropractor, the educational requirements, what it is that I do, advice I’d give, etc. After blurting out, “Because we’re awesome!” I paused and told her I had two answers. First, I would tell her why I thought we were on the list, and then I’d tell her why we should be on the list. Unfortunately in chiropractic there exists a disconnect in the public perception as to what we truly do. A large part of this confusion falls on our shoulders as we continue to struggle to fit into a health care insurance reimbursement model that really was never designed for us, but rather for medicine. So why do I think we are on the list? Simply because those that are studying the trends of our society see a Baby Boomer population that is aging and invariably suffering from increased aches and pains and is more likely to seek out alternative medical choices than previous generations. So, naturally, an army of health care practitioners, especially those in alternative care, like chiropractors, is needed to take care of all these people. That’s why I think we are on the list. But let me tell you why we should be on the list. We live in a nation that spends more money on health care than any other, and yet, we are one of the sickest. Clearly the health care model we are investing in is not working. Chiropractic has the opportunity — if it can be so bold — to bring to the table a model of health care that is intuitive to us all, but radically different from what we’re currently getting. You see, chiropractic is not about treating back pain, neck pain, or headaches. It’s not about treating anything. And that’s where the disconnect is for most. Chiropractic, when practiced in its truest sense, is based on the foundational premise that our bodies are self-healing and self-regulating, and are able to do this job magnificently as long as nothing gets in the way. Chiropractors aim to restore and maintain a free-flowing nervous system by keeping the spine in alignment, regardless of symptoms, so the body has a chance to operate at its highest potential. Health comes from within, not from some pill, potion, or lotion that you are missing in your life. When you are truly operating on this level, you are able to attain a higher state of well-being, and that usually means less aches and pains. And that is why we should be on the list — because the body is awesome. Dr. Thomas R. Lamar is a chiropractor at Anchor Chiropractic in the Health Services Center and hosts the Internet radio program SpinalColumnRadio.com. You can listen to his interview on CollegeFundingResource.com or on the player below. Lamar can be reached at (360) 297-8111. This entry was posted on September 13, 2013 at 6:00 am and is filed under chiropractic 101, chiropractic history, chiropractic philosophy, education, health care reform, healthy living, Innate Intelligence, inspirational, low back pain, maintenance care, podcast, subluxation, whole body health. You can subscribe via RSS 2.0 feed to this post's comments.